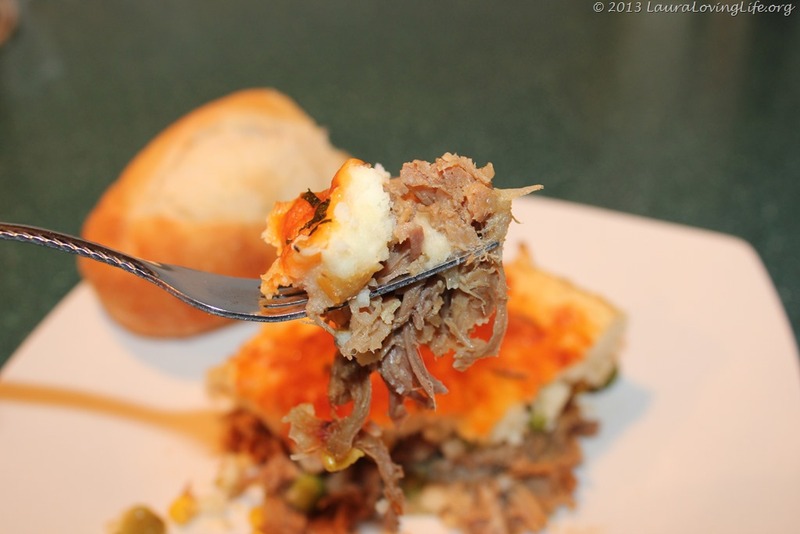 We have all had an adaptation of Shepards pie at one time or another. 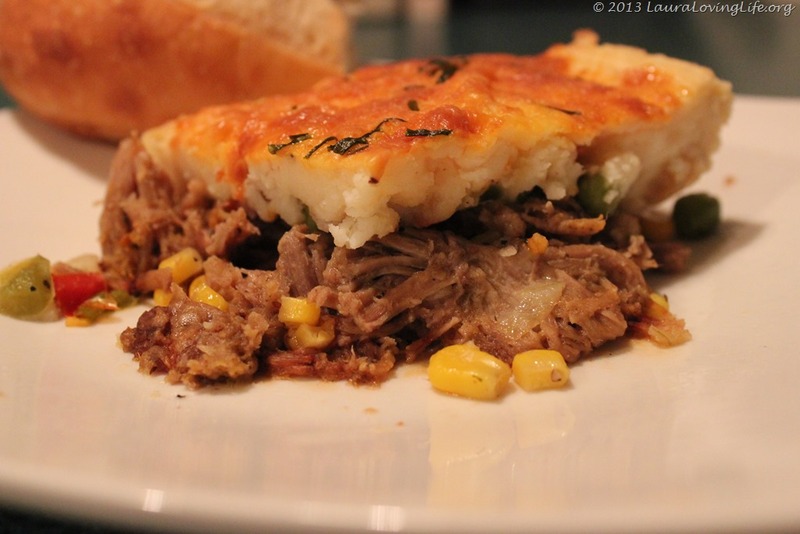 Typically, made with ground beef; I wanted to have a down home “American” type meal, but jazz it up a bit. My thought process was to just switch out the type of meat, keep it simple and let the dish speak for itself. 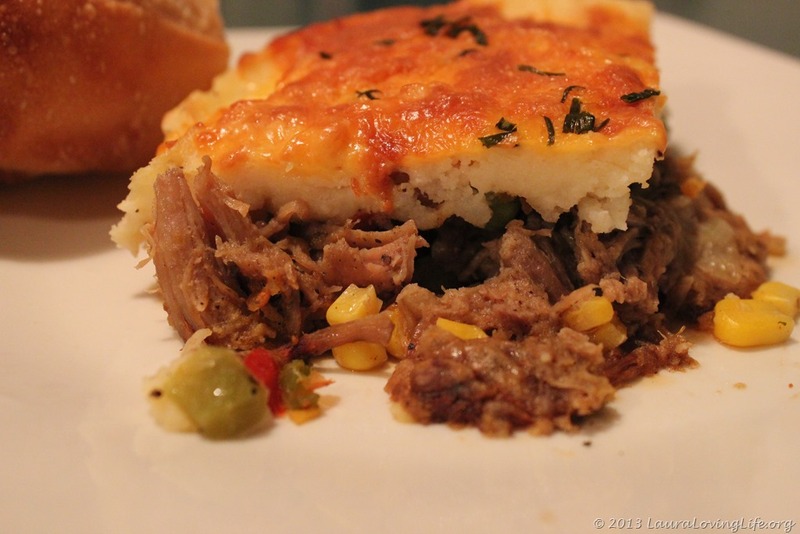 By going with pulled pork I was insuring that the moist meat would impart great flavor without much seasoning. I can eat pulled pork all by its lonesome and be very happy with that. 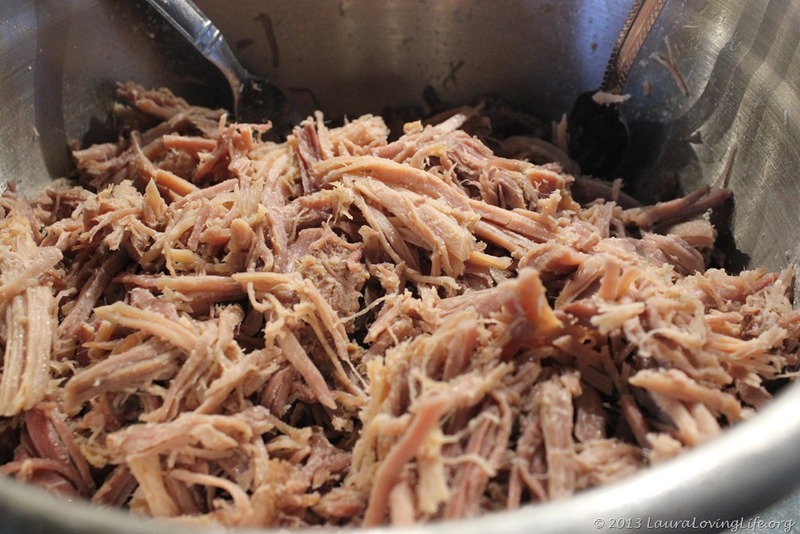 To make the pulled pork, grab a nice pork shoulder, throw it in a crock pot before you go to bed, fill with vegetable stock and a bit of pepper. Cook on low. I allowed mine to cook for 12 hours, I let it rest for several hours then I pulled the pork. Very easy and tender. 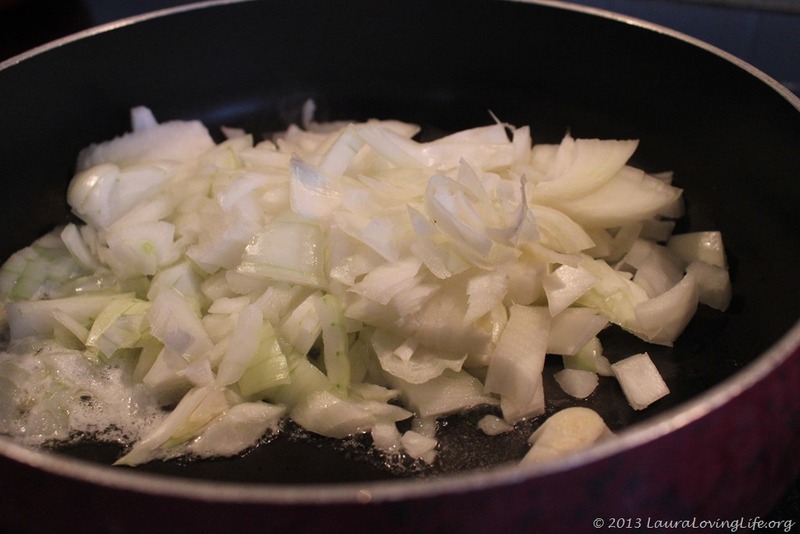 Cook your fresh onions and mix into the pork mixture, layer onto the bottom of a pan or pie dish. 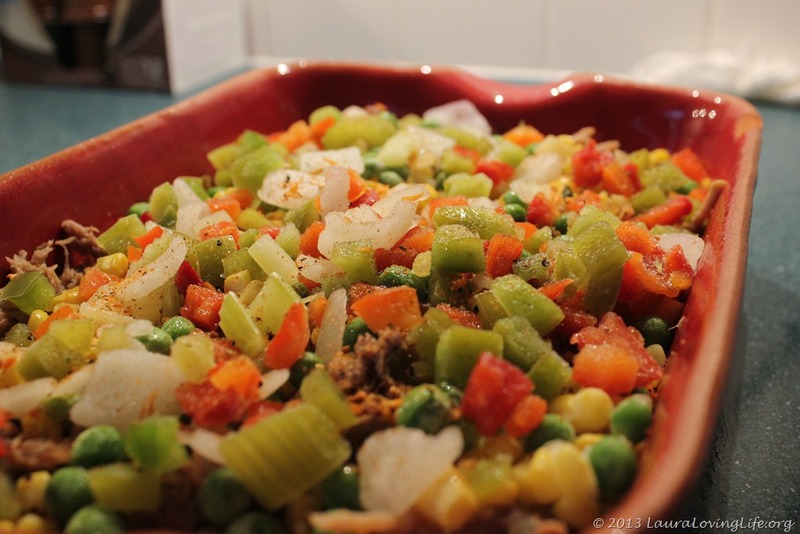 Top with the veggies. 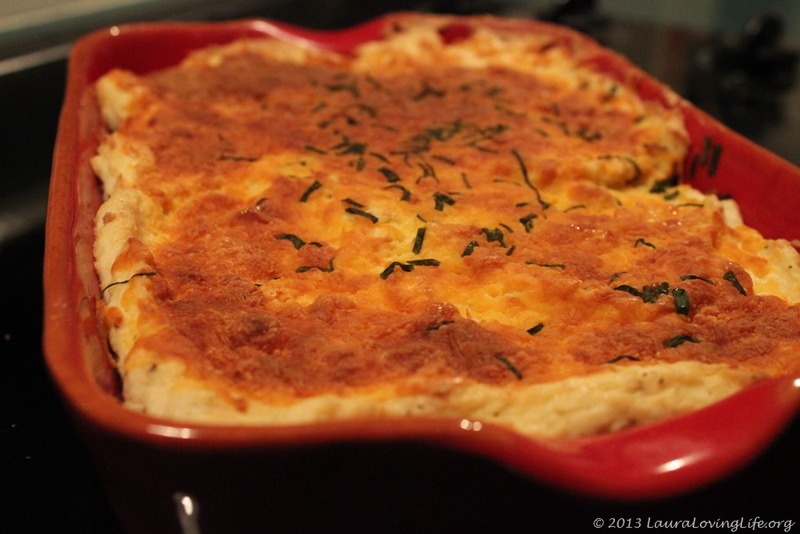 Then top with the mashed potatoes, sprinkle shredded cheese on top and garnish with chopped chives. Cook at 350 for 20 minutes or until the cheese starts to brown and bubble. Serve with a simple salad! 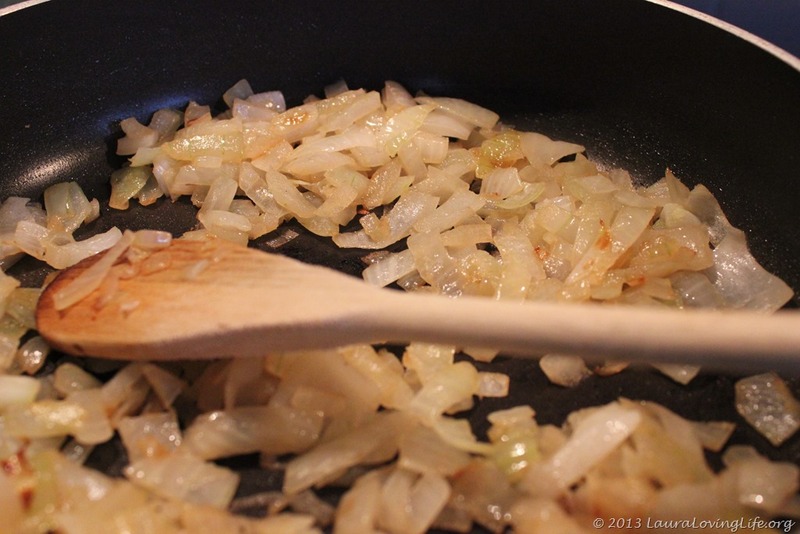 I have to say if you can make a double batch; this was so good the next day as well. Pulled pork. Another of my personal faves. Your cooking is really starting to get me excited! I love love love pulled pork! It is one of the best ways to cook meat I can think of! I am sure you have a great way of doing it as well! 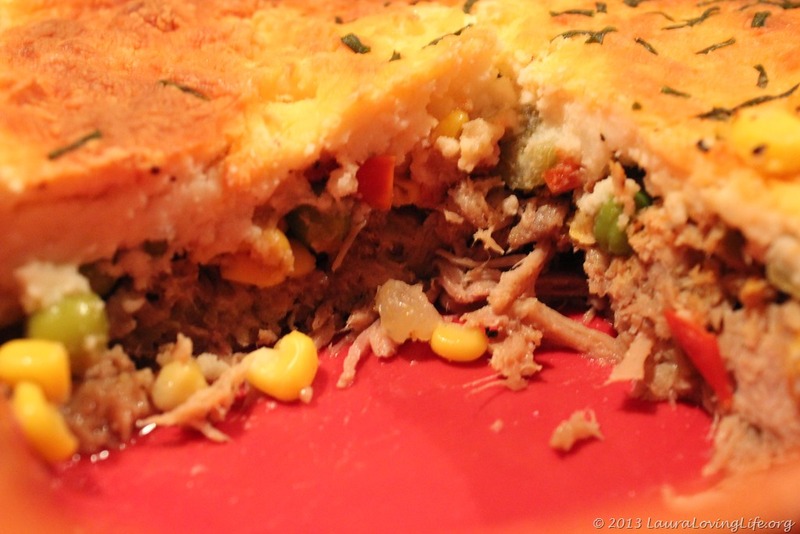 I like the idea of pork and corn in the pie. Turkey is so boring. Looks delicious.